The first time I visited North Platte, Nebraska, I was 14. My family drove there via I-80 to attend the wedding of a close family friend. After almost 30 years, I don’t remember too much from that visit, but I do remember being intrigued by the western stockade I saw sitting just off the interstate there. My parents didn’t stop the car to visit then, so I soothed my disappointment by telling myself that it was probably just another cheesy tourist trap. Over the years I’ve driven been past North Platte several times, and even stayed in hotels right next to the Fort Cody Trading Post — each time without going inside. I’d look at its weathered, wooden stockade walls, the mannequin-soldiers defending it from some unseen foe, and wonder what was inside. So on this trip, I decided to end my wondering and actually visit the store, and not just look at it from the outside. Boy, I’m glad I finally went inside. When we walked in, we were overwhelmed with all the cool stuff this trading post had to offer. 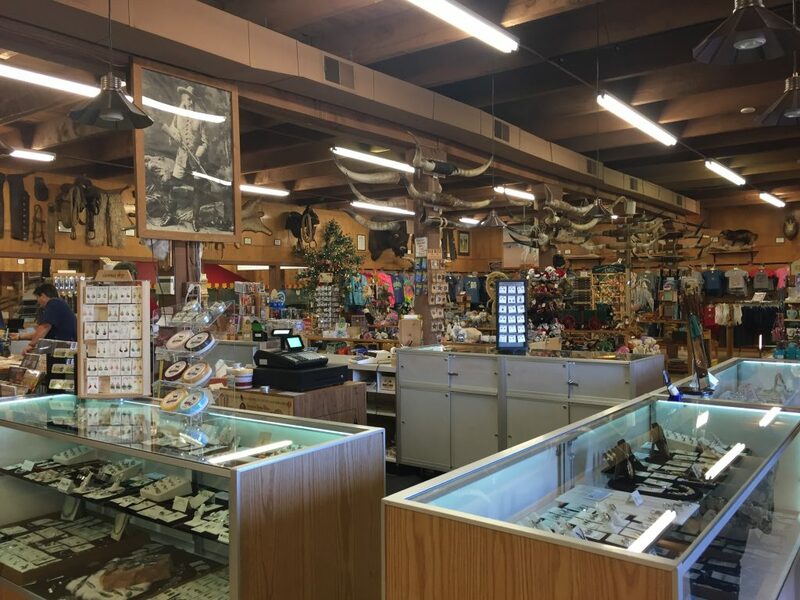 Just as they opened the doors for business that morning, I walked in to a huge souvenir shop, filled with toys and trinkets from my childhood, oddities I’d never seen before, and country music playing in the background. 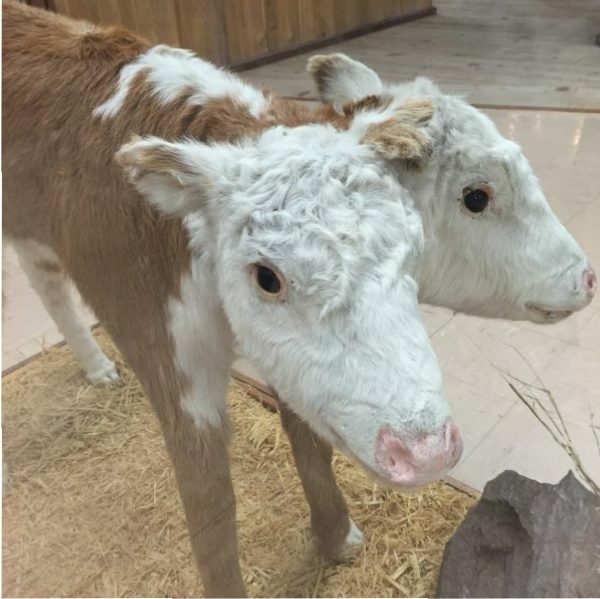 A two-headed calf. Sadly, it only survived for 48 hours. The Fort Cody Trading Post is special. It has been family owned and operated since 1963. 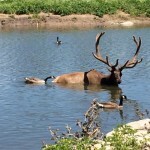 It takes its name from “Buffalo” Bill Cody, who was a longtime resident of North Platte. 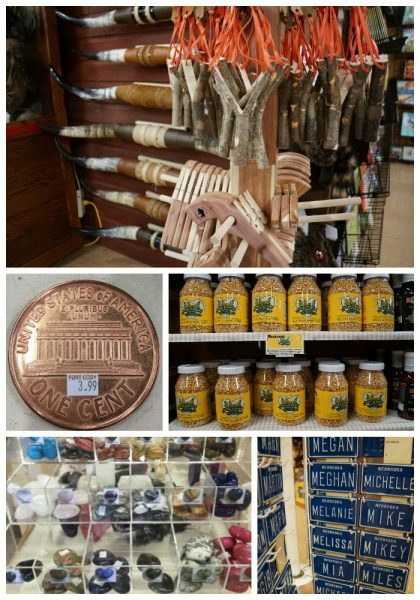 The store bills itself as “Nebraska’s largest souvenir and western gift store,” and it has the four different pressed-penny designs to back that up. They also offer some free attractions inside the store. One is the “Old West Museum” where you’ll find hats, chaps, and other western stuff like a two-headed calf. 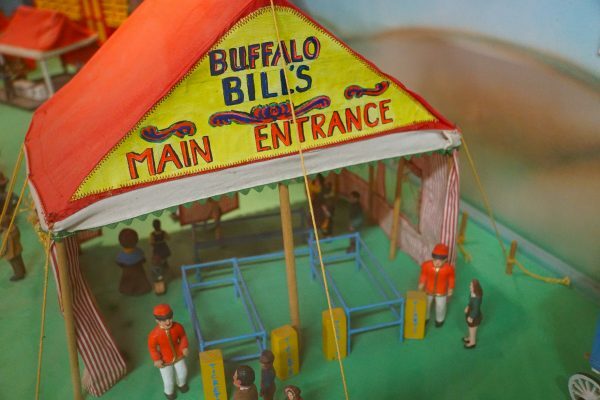 The other is a miniaturized “Buffalo Bill’s Wild West Show.” This tiny show really isn’t so tiny…it is made up of 20,000 hand-carved wooden figures, many of which march, dance, and spin to music and a narrated history of the show every half-hour. The miniature Wild West Show includes more than 20,000 hand-carved pieces. You can also step out the back door and into the “yard” of the stockade. Back there you’ll find a variety of covered wagons, a little cabin, a tiny Old West jail cell, and even a teepee. It was a fun place to walk around, take pictures, and imagine the Wild West. Meghan was a good sport and posed for a photo in the Fort Cody Jail. Back inside, we enjoyed perusing thousands of souvenirs and gifts. In addition to the typical trinkets like postcards, pencils and shot glasses that are in any store, we loved checking out books, Nebraska grown honey and popcorn, steak seasonings, and dip mixes. I felt like a kid again looking at the slingshots, hand-buzzers, polished rocks, over-sized pennies, retro-sunglasses, and those little bicycle license plates that you always check to see if they have your name (they did!). Fort Cody Trading Post had hundreds of souvenirs including slingshots, giant pennies, Nebraska-grown popcorn, polished rocks and those little bicycle license plates (including the correct spelling of Meghan’s name). They even had car Bingo cards to help travelers like us pass the miles. Word of caution: If you buy the Bingo game make sure you pick out different cards. Meghan and I were so excited to play this game in the car but didn’t check that before we left the store. Forty miles down the road, we realized our Bingo cards were exactly the same, and somehow the game just wasn’t as fun. 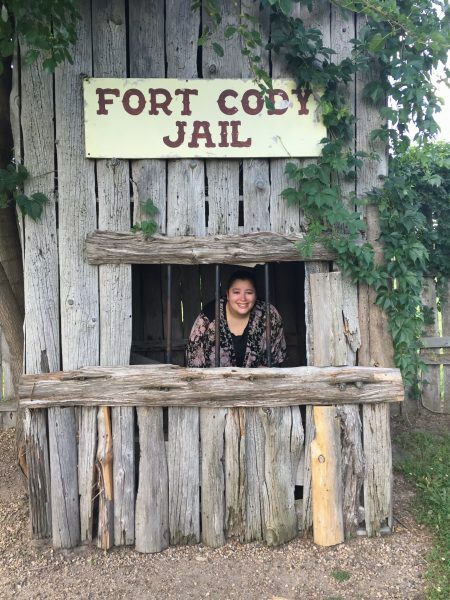 Our visit to the Fort Cody Trading Post served to teach me a little lesson about travel. If you see something that catches your interest and time allows, stop the car. 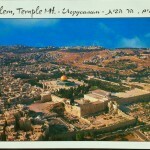 Visit it. I left North Platte with such regret that I had not stopped here before. I realized I had missed out all these years because I never took the time to go in to a place I had pre-judged. No worries. I plan to start making up for those misses now, as the Fort Cody Trading Post will be on my “must-see” list of places whenever I’m headed west. 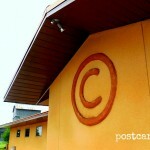 Have you been to Fort Cody Trading Post? What was your favorite souvenir or attraction? Let us know, we’d love to hear from you. That two headed cow always freaks me out~ Always a fun stop along the I-80 Nebraska Corridor. I think this is such a fun place to visit. So much that is unexpected. The miniature “Wild West Show” is definitely my favorite part. We loved it, too, Gretchen. The show is quite impressive and definitely worth a stop.